Come home and relax in this fantastic 2nd floor one level condo in sought after Lake Park. 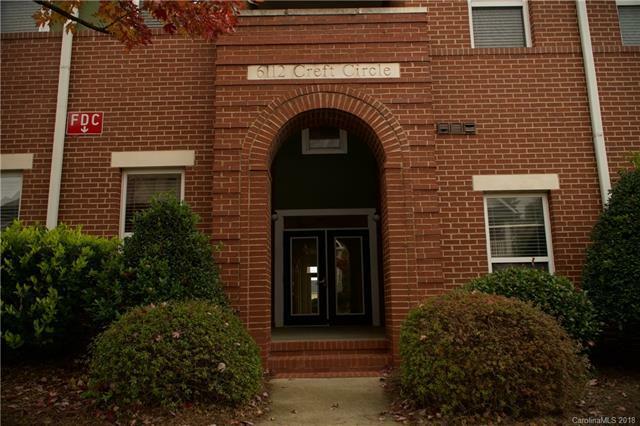 This beautiful condo has a large master bedroom, bathroom and walk in closet. A second large bedroom with connecting bathroom. Enjoy your private balcony with a lovely view of the neighborhood. This building has a private securely locked hall entrance & elevator to get you to its second floor. This condo can be your ideal home with new laminate wood flooring in kitchen & new carpeting throughout the rest of the unit. Move in ready with refrigerator, washer & dryer included. Ceiling fans in bedrooms & living room. Convenient location in Indian Trail walk across to restaurant. Lovely lakes, playgrounds, walking trails, gazebo and pool. Minutes drive to local shopping centers, supermarkets, movie theater and more. HOA fees cover water, sewer, garbage, exterior maintenance, parking lot & road maintenance for worry free living! Location is very close to I-485 and highway 74. Hurry, this won't last! Sold by Skyecroft Realty Group Llc.